Flashes of Style: Happy Earth Day! In honor of Earth Day I've partnered with Rodales to raise awareness of their eco-friendly products, like this jam from Shady Acres farm, straight from Hudson, NY. 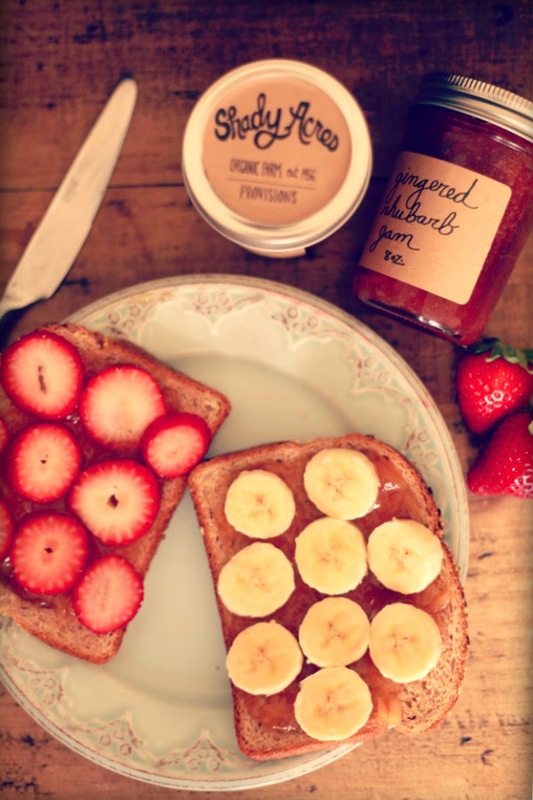 I celebrated today with their yummy jams paired with Strawberries + bananas on toast. Yummmm! Hope you all enjoy your Earth Day as well! gorgeous photos! happy earth day. Happy Earth Day! I love organic sustainable products, and that toast looks delicious! I love strawberries and bananas. They look like they would be delicious together on toast like that and aso healthy too! This looks delicious, Happy Earth Day! This looks really delicious, I have to try it! terimakasih atas infonya, sukses selalu dan sangat bermanfaat sekali. ..
Terima kasih informasinya, semoga akan selalu ada informasi terbarunya. Think a midnight snack is in order after looking at these photos, damn you! This looks so delicious, especially to a pregnant woman! I need this in my belly stat! Bermanfaat sekali nih informasinya.. salam kenal dan sukses selalu dengan website nya ya pa admin. .
informasi yang sangat bermanfaat, semoga menjadi berkah dan bermanfaat bagi kita semua ..
mudah2n jadi berkah dan manfaat gan..
That jam looks so freakin delicious! check out my blog if you'd like- I'm just starting out and would love some feedback!